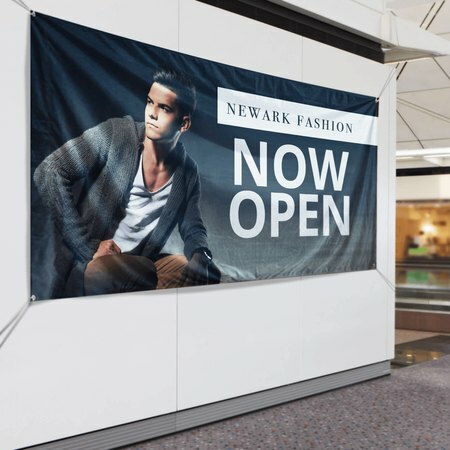 Fabric banners are the perfect solution when you want your brand to be visible—always. Ideal for both indoor and outdoor use, fabric banners offer great readability even from afar. This means that you can capture your customers’ attention from a distance and pique their curiosity as they inch closer. The heavy-duty 9 oz. polyester fabric is best for high-quality prints, thanks to its opacity and closely woven threads. So whether you hang it on the wall, in front of a table, or on a post, your cloth banner will surely catch people’s attention. Grommets – allow for easy hanging on walls, tables, and more. Choose this when you don’t have an existing banner stand and want something that is easy to set up and remove. Pole pockets – help in keeping the banner taut to avoid creasing and flapping, especially when used outdoors. These are best used when you already have a banner stand or are planning to buy one. All banners can be hemmed to ensure that edges will not unravel when displayed. Start driving people your business with fabric banner printing.